I didn’t mention it on the blog, but back in March, we purchased a used 2014 Chrysler Town and Country. My 2005 Dodge Caravan was beginning to have more issues than we wanted to deal with, and we decided that it was the proper time for a replacement. Mr. Yoder Toter and I had many lengthy discussions about getting an SUV versus sticking with a minivan. We spoke to friends and family about the pros and cons of each vehicle, taking into consideration our family of five. Because we do a lot of traveling, we researched gas mileage and storage holds. Most of all, we considered our budget. We had been saving for months and we didn’t want to go into debt. Buying a car is no small decision- especially knowing that we don’t believe in car payments! 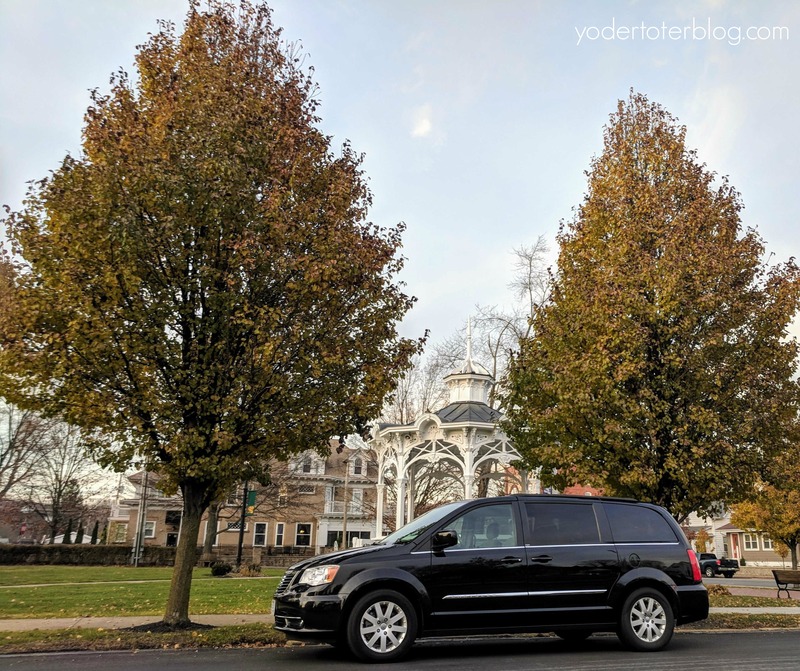 It came down to the question- “what would be the best vehicle for family travel?” Here’s why we chose another minivan and why we find it to be the perfect family road trip vehicle! Most Dodge and Chrysler minivans are fitted with the option to Stow ‘n Go the seats. This means that the seats fold down into the bottom of the vehicle. It takes less than 15 seconds to fold a seat down and create extra storage space. This is convenient for positioning a cooler in the aisle or hauling extra suitcases. While we checked out other brands of minivans, I knew I’d become too accustomed to the Stow ‘n Go in our old minivan. Another non-negotiable is cruise control. A speed demon by nature (my husband calls me Richard Petty- yikes! ), cruise control allows me to stay within a safe zone and give my foot a rest while driving on the highway. While our minivan will never get us the gas mileage of my husband’s Honda Fit, it still surpasses most SUVs. We were able to get nearly 25 mpg while driving to North Carolina in September! We like to spend money on experiences and hotels, not gas- so getting great gas mileage while road tripping is a must! Our friends with SUVs told us that they didn’t feel the trunk space was adequate for traveling with a large family. Also, without the added headroom or aisle-way that the van provides, we realized it may be harder to help little ones in third-row seating. These things, coupled with the Stow ‘n Go, really sold us on the minivan being the go-to family road trip vehicle. 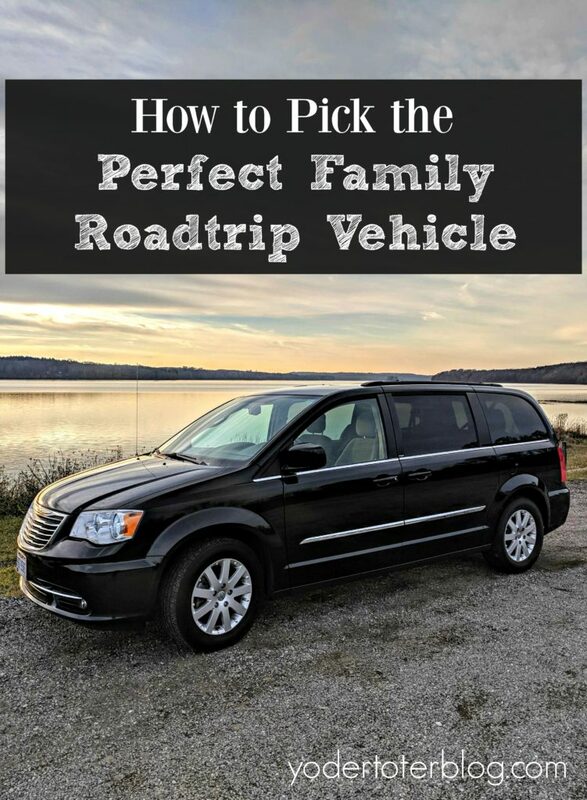 That’s how we found our perfect family road trip vehicle! If are ready to look for something new, cars.com enables you to research vehicles, sell your old car, and find a new car! It’s a one-stop website! What type of vehicle works best for your family?